Translating raw data into marketing data can be complicated. 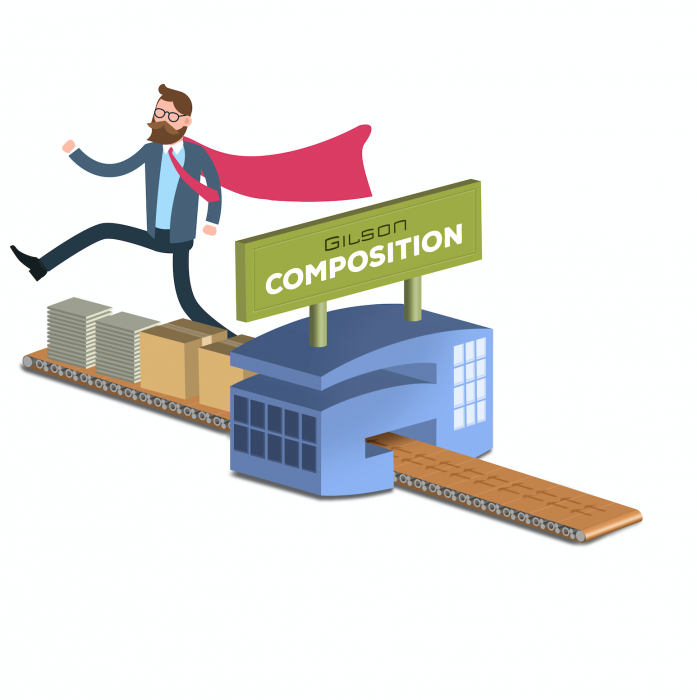 Gilson’s Composition Department bridges that gap with a well-oiled machine of programmers and project managers who become familiar with your product and use the latest software to create materials that can easily be taken out into the marketplace. Composing everything from testing materials to products for digital distribution, we automate the conversion process to reduce costs, improve accuracy, and speed up turnaround. Taking all the hassle away and making it a smooth and easy process. All of these aspects give you price documents, specification manuals, website content, and even signage programs that will make your business soar. Gilson’s Composition Department can help customize your experience to give you the products, materials, and the results you’re looking for. The process is easy–simply take your data to Gilson and our Composition Department will start working on your finished product. You can also customize the process in any way to get the most out of your project. Giving you the key to unlocking its potential. From there, it’s ready to get out into the world to build your business. These materials are what you need to take the next big leap into a bigger arena with your business. So, remember, don’t fret about data–seize the data, with Gilson! To learn more, contact your Gilson sales rep, or go to our website to schedule a meeting.